When a stranger from Kentucky tracks down Kim Leamy, her world is turned upside down – could she be the missing Sammy Went? Kim travels from her home in Sydney to small town Mason, Kentucky to try and uncover the truth of who she really is. 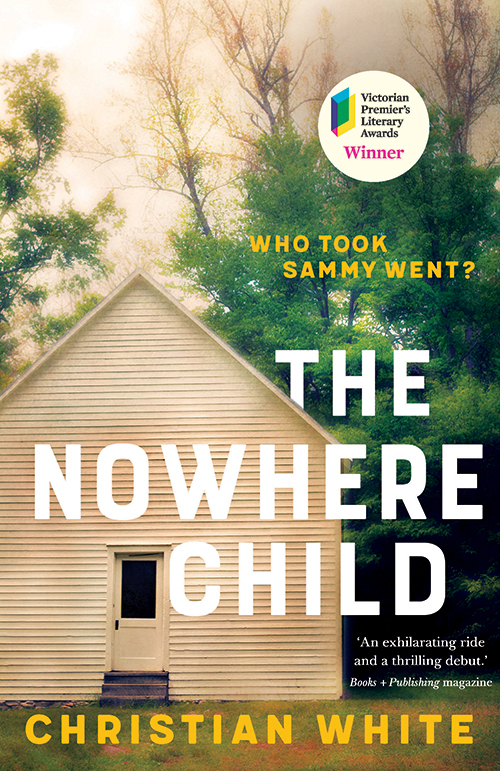 The Nowhere Child, first novel from Christian White, is a cracker for lovers of mystery and suspense. It will keep you on the edge of your seat until its unsettling and terrifying climax. For fans of Gillian Flynn and Stephen King.